During odd-even policy expansion in East Jakarta, personnel of East Jakarta Transportation Sub-dept. (Sudinhub) records an increase in speed on passing vehicles.
" 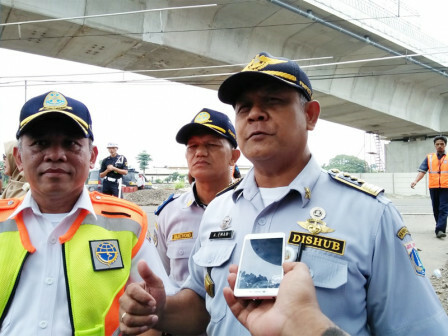 Based on our monitoring on the field, generally traffic flows smoothly on Bypass area"
Entering the third day of odd-even policy expansion, East Jakarta Sudinhub's Traffic Section Head, Andreas Eman stated, his side continues to coordinate with East Jakarta Satwil Lantas and monitor the traffic. It is known that traffic flows on Jalan DI Panjaitan and Jalan Ahmad Yani, East Jakarta, began to run smoothly. "Based on our monitoring on the field, generally traffic flows smoothly on Bypass area. Congestion is always happened in this area every morning, but today is slowly getting unraveled," he mentioned, Friday (8/3). In average, vehicle speed increases by around 16 percent in average. Formerly it is 19 kilometers per hour and now it increases into about 27-30 kilometers per hour. Especially from 6-10 AM in morning. Then after that period, traffic comes back to normal. "We will keep monitoring it on the field and report it to department. Overall evaluation is done in department and we only give any recommendation or monitoring result," he informed. Based on East Jakarta Traffic Police data, 647 vehicles were netted in the first two days of odd-even implementation. It consists of 172 vehicles on the first day and 475 vehicles on the second day.